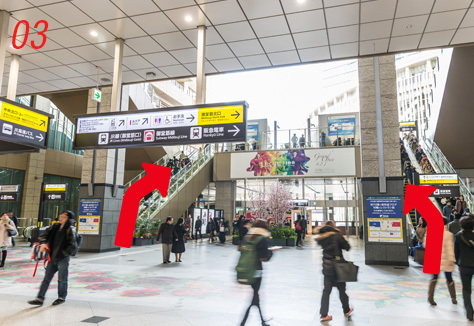 ①Exit the gate on the 3rd floor and use the escalator on the right to go down to the 1st floor. After reaching the 1st floor, proceed straight. 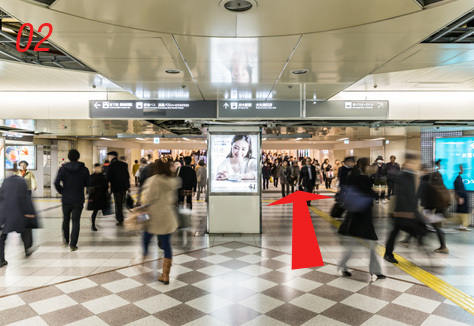 ②You will see a McDonalds on your right. Go up the stairs in front of McDonalds. 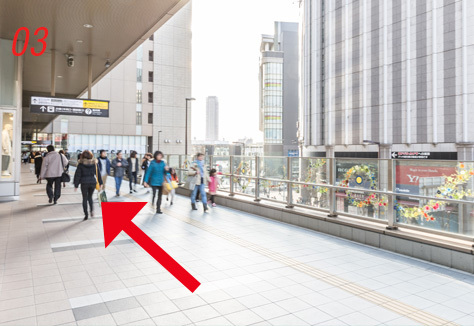 ③Proceed straight down the deck and go through the automatic door. ④You will arrive at GRAND FRONT OSAKA. 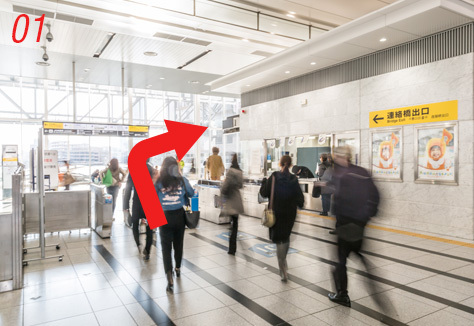 ①Exit the West Exit gate, turn left, and then proceed straight. 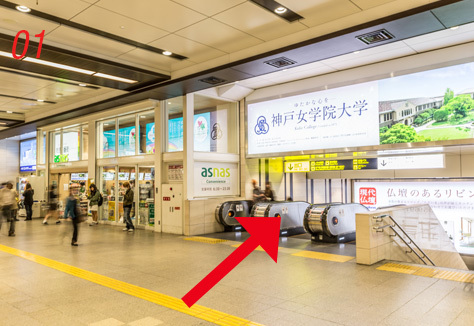 ②Go down the short escalator and continue to proceed straight. 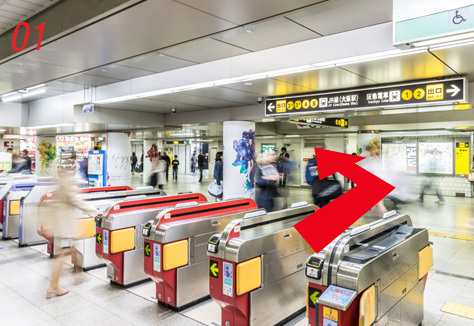 ③Go up to the 2nd floor using the escalator on the left or right. 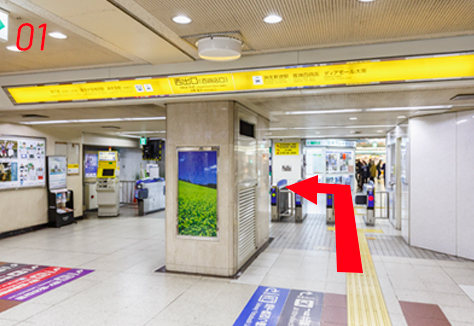 ①Exit the gate on the 3rd floor and proceed right. 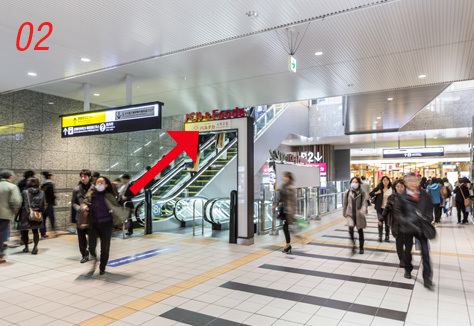 ②Use the escalator that goes down to the 2nd floor to go to the 2nd floor. 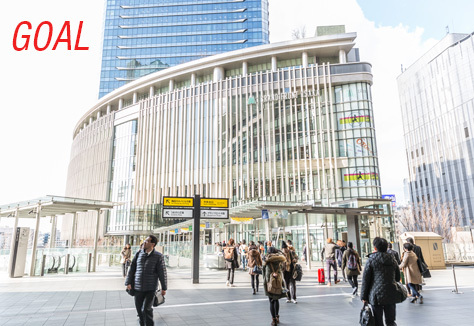 ③You will arrive at GRAND FRONT OSAKA. 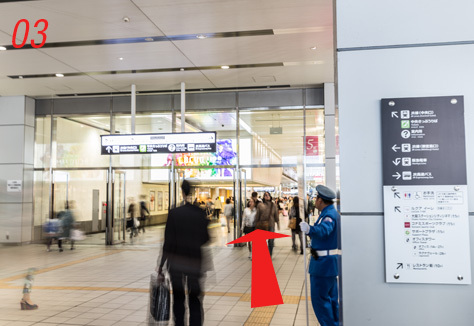 ①Exit the North Exit gate and proceed towards [Exit 3B] on the left. 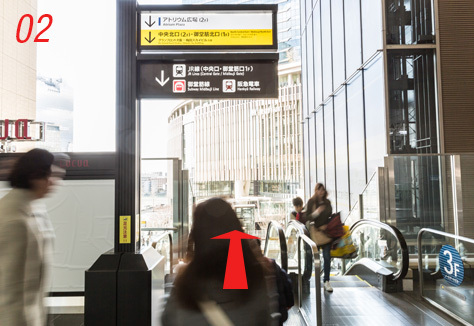 ②Use the escalator on the left hand side to go up to the 1st floor. 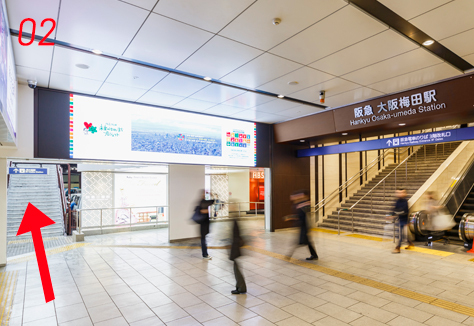 ④Go up to the 2nd floor using the escalator on the left or right. 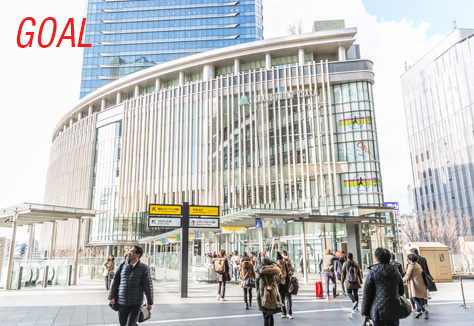 ⑤You will arrive at GRAND FRONT OSAKA.